The current podcast unravels Unani Medicine, an ancient and traditional system of medicine. Listen to Dr. Mohammed Zulkifle to understand what Unani is, its origins, its fascinating journey from Egypt to India several centuries ago and how it is now an established system of medicine under AYUSH. Dr. Mohammed Zulkifle is Director-in-charge of National Institute of Unani Medicine (NIUM), Bangalore. 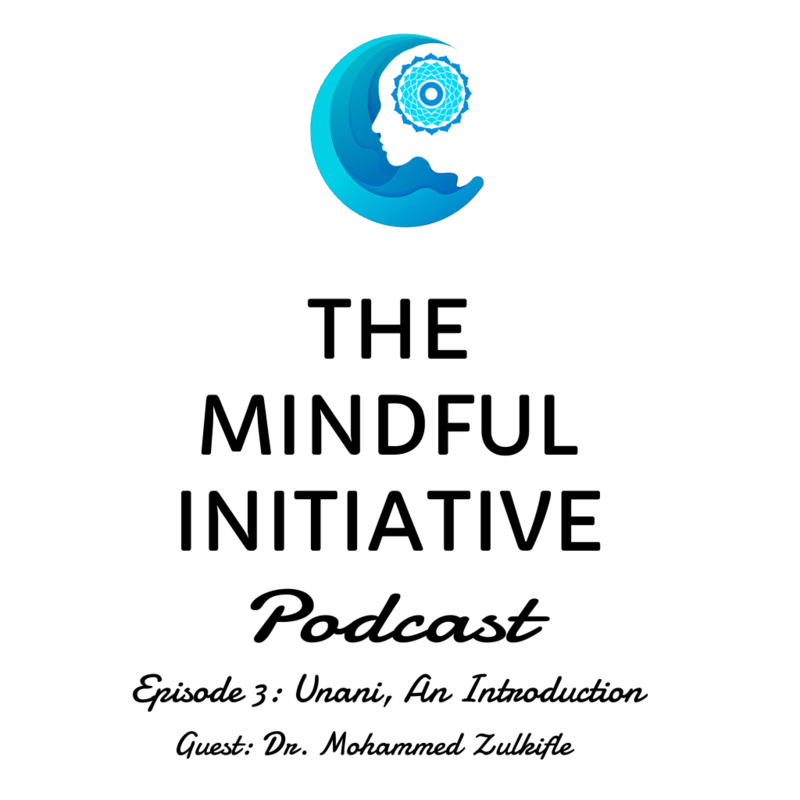 [Nitesh Batra]: Hello and welcome to the new episode of the mindful initiative podcast. Today we are very honored to have amongst us Dr. Mohammed, who is Director- In Charge of National Institute of Unani Medicine. Dr. Mohammed, welcome. Sir, can you please tell is something about yourself? Your background, your education and your journey thus far? [Dr. Mohammed]: I am Dr. Mohammed Zulkifle- Director- In Charge of National Institute of Unani Medicine. I did my Under Grad from Aligarh and thereafter my PG in Basic Principles of Unani Medicine. I started teaching soon after and thereafter got into research. I first started teaching in Aligarh and then from Aligarh I went to Muzaffarnagar. Subsequently I came to Bangalore and joined this institute in 2005 and in 2012 I became a Prof in Basic Principle of Unani Medicine. I have been serving the institute since then. Our work primarily involves research and academics here. [Nitesh Batra]: So, most of your studies happened in Aligarh and you have been here (NIUM) for the past 13 years. Can you please elaborate how NIUM is related to AYUSH and also explain a bit about AYUSH? [Dr. Mohammed]: In the earlier days, Ministry of Health and Family Welfare existed. Subsequently, the Government realized that there is immense potential in our integrated system—be it Ayurveda, Unani, Siddha, Homeopathy. When we were a part of the earlier set up (Ministry of Health & Family Welfare), the government wasn’t able to devote attention to us—these systems. That’s when the government decided to do away with the Ministry to propagate these systems. Thus, a new Ministry was formed and came into existence called AYUSH, that comprised Ayurveda, Yoga, Unani, Siddha and Homeopathy (AYUSH). For a while, this ministry remained under Health & Family Welfare. But last year, with the new government, this was formed into an independent Ministry with Shripad Yesso Naik as its Minister. Since then, this is an independent Ministry and these systems are getting propagated. [Nitesh Batra]: I think it is very necessary in today’s times to have this focus and attention on these ancient sciences such as Ayurveda, Yoga & Unani. The formation of a Ministry for these sciences will help people in knowing about these sciences in greater depth and detail. [Dr. Mohammed]: Look, people knew about these sciences—very few, limited section of people know about these sciences. Even today, very few people know about these sciences and even what work should be done around this isn’t really happening. But we hope that good work will start happening. E.g., Yoga Day has helped people in knowing about Yoga, and know we see Yoga Day being observed all over the world. So, in this manner, when a government takes up an initiative, it sure has an impact public awareness for sure increases. So, we can hope that in future, as the awareness of these systems–Ayurveda, Unani & Siddha increases, the public at large will start benefiting from these sciences. [Nitesh Batra]: You are absolutely right. Awareness about Ayurveda is increasing around the world but there’s not much awareness about Unani. People are slowly learning about it. But it will be great if you can explain to our listeners about Unani, where it originated and how it came to India and what its future is. [Dr. Mohammed]: Look, Unani is another system like Ayurveda, Siddha. And Unani is also a science related to health & diseases. Unani has its own philosophy that provides treatment, diagnosis to patients. As far as its origin is concerned, it first originated in Egypt and thereafter went to Greece. Followed by Rome, Iran, Middle-East, Europe and then came India. Because you see, there are no boundaries for knowledge. Especially knowledge that benefits public at large—that for sure spreads. So, while it flourished outside India, it came to India through trade and business tours. In ancient /olden times also, there used to be trade visits & tours and physicians used to travel with businessmen and traders. Thus, when Unani came to India from these countries, it was highly welcomed and started to get propagated. That’s how it came to India. And subsequently, “Ruling kings or monarchs” encouraged, protected and propagated. Unani also gained widespread public acceptance in India. Today, in some parts of India, many people know about it a lot whereas there are parts of India where there’s very little awareness or knowledge about Unani. Punjab as a region has witnessed many “hakims” (doctor). Unani is better known as “Hikmat”. All Hakims have been associated with Unani medicine. There is no region in India that hasn’t had “hakims”. [Nitesh Batra]: Yes, very true. Whenever we hear someone say, “Hakim will visit, hakim will cure”, it is only associated with Unani. So, Unani originated in Egypt and Greece around 400 BCE. And such a long journey over centuries of the medicine into India should certainly not be wasted. You mentioned 2 very important facts about Unani medicine and one of them was on preservation of health. It will be wonderful if you can elaborate on how the 7 elements/principles of Unani emphasize on preservation of health. [Dr. Mohammed]: Look, Unani medicine recognizes the effect that seasons, regions, foods, nature and surroundings have on body. So, the scholars or hakims of Unani studied all the external factors and how they effect a human body and how they can be stopped. So, when preventive measures were introduced in the system, the biggest discovery was how external factors effect our health. When something effects a human body, it can either effect you either positively or negatively. So, it was recommended that factors that effect positively should be adopted and those that effect negatively, should be avoided –that’s how health can be maintained. 7 essential factors (6 essential factor) form the basis in the Unani system- known as “Asbab-e-Sitta Zaruriyya“ — effect of Atmospheric Air, Foods & Drinks, Rest and Physical activity, Psychological Activity & Repose, Sleep & Wakefulness and Elimination and Retention. Effect of wind on human body, effect of sleeping and being awake, effect of movement/physical exercises, things that need to get eliminated from the body—whether they are getting eliminated or not- things that should get retained in the body or not –if there is moderation in all these 6 factors, then health is maintained in the body. Or if one of these—say, sleeping or staying awake increases, then the body deviates from a state of moderation. Those that need to get retained in the body but are getting eliminated, then the body shifts from moderation. That’s how, eating according to the environment one lives in, determines the “mijaaz” (temperament) of a person. If a person’s temperament is OK, he/she is in good health. In other words, if the temperament of a person gets disturbed, it disturbs the health of a person. So, the main aim of Tibb- E- Unani is to maintain the temperament of a person. As long as a person’s temperament is aligned, he is in good health or when the temperament shifts, it affects the health of the person. The 6 factors mentioned are the cause of shifting the temperament. Take the effect of wind, for example. Directional winds such as southern, northern, eastern winds also effect the body /health of a person. E.g, if a person lives in a region where Western winds blow frequently, Unani prescribes preventive measures in terms of what to eat or not to eat, what measures to take to maintain good health. Thus, there are different measures prescribed for different winds. Similarly, if a person lives in a mountainous region or in a valley, Unani prescribes preventive measures for these regions—as there are effects of living in such regions–some could be positive, some negative. Thus, by adopting measures that promote positive effects, the negative effects can be eliminated. [Nitesh Batra]: Currently, it is rainy season here in Bangalore and in India. Can you advise our listeners on what precautions one should take in this season so that their health is maintained through these 7 elements? [Dr. Mohammed]: 6 elements. There are 6 essential factors. In the rainy season, the moisture content in the body increases/becomes dominant. The first effect of high moisture content in the body comes on chest and head. Thus, diseases related to chest and head increase in this season particularly when people come in contact with elements that have a cold effect on the body. E.g, staying in Air Conditioned environments, consuming cold drinks. Though the effect is not the same on everyone. That’s because not everyone’s temperament is the same. Also, people’s habits and lifestyles are not the same. One person might drink tea while another might drink cold drink. So, the person who drinks tea will not get as affected as the person who consumes cold drinks. In this season, it is important to keep your head warm/covered, so as not to catch cold. So, if a person starts feeling cold, one can conclude that the person can experience something in his body. Thus, such a person should take appropriate measures and warm up his body. Not too warm, but sufficiently warmed up. Thus, it is advisable to keep the head covered and wear such clothing that protect you from cold. And eat foods that provide heat to the body. Thus, he can keep himself protected in the spring season. Since moisture is high in spring, chances of infection increase in this season. Thus, in this season, to prevent infections, such measures should be adopted that reduce moisture such that it comes to a moderate level. [Nitesh Batra]: And every individual needs to recognize what measures he/she must take? [Dr. Mohammed]: The biggest contribution of Unani is that it recognizes individuality of people. No 2 people are alike. Thus, we cannot offer the same treatment to 2 different people. [Nitesh Batra]: I think that is the most important factor. Standardization in humans that is being widely promoted/that is now dominant, is impacting a lot of people and that’s causing more diseases. The other element that I am keen to know about the philosophy of “Ruh” (soul) in Unani. Because, it is ultimately about, the mind, body and soul connection and Unani is also based on this philosophy. [Dr. Mohammed]: There are 2 basis philosophies in the Unani system: (i)Magdi (ii) Rehamat. There are some physical aspects and some metaphysical (things that cannot be seen and touched). That’s how we have “Ruh” as a concept that falls under the metaphysical concept. Our philosophers say that there are 3 types of “Ruhs” in a body viz., Vital (Ruh-e-Haivani) (that which is drives life), the other belongs to the mental functions (Ruh-e-Navani) and the 3rd is nutritive from which vegetative functions emerge (Ruh-e-Tabiyaa). So Ruh is present in whole body and corelates to power. Where Ruh decreases, power decreases. So when Ruh performs the mental function (Ruh-e-Nafsani) and some disturbance occurs in that Ruh, the mental functions in a person get disturbed. So when this happens, it doesn’t mean that everyone with this type of disturbance will get affected in the same fashion. E.g., the aspect of Ruh governing thought powers, will disturb thoughts in that person; that which governs memory will disturb memory and so on. We believe that Ruh has a constitution. It has matter /composition—so, when something goes wrong with that composition, then the effects manifest as, for example, fever or anxiety. That’s when we say that the Ruh needs to get cleaned to set it right. Unani has several medicines/regimes/measures (“Tadbeer”) to clean the Ruh. Treatment in Unani is an approach. And when Ruh gets cleaned, that’s when it starts performing its normal functions. [Nitesh Batra]: I think this is extremely interesting that Ruh also has different aspects. We spoke about health can be preserved and what precautions we can take. Now, does Unani prescribe medicines if someone falls sick? But can you throw some light on how Unani medicines are prepared, what is the base of the medicines and regimen? Of course, this is a very wide question. But what regimen must one follow say, if someone has a sore throat or has common cold? How does Unani medicine prescribe ailments? Ma-a-da (matter)—if matter has increased in a body. So, we need to observe 2 things –Mijaaz & Hilth. Which hilth is dominant and what is the mijaaz. Then, depending on the ailment (marz), we then analyze the mijaaz (temperament) of the marz (ailment). Because in Unani medicine, without identifying the mijaaz, we can neither treat nor diagnose. Thus, both diagnosis and treatment are based on the mijaaz. So, first we diagnose and then follow the principles of treatment which is a very important aspect of Unani medicine. So, based on the principle of treatment, we prescribe medicines. We use 3 types of medicines viz., 1. Herbal 2. Minerals 3. Animal sources in very minimalistic quantity –for example, Abresham is a specific medicine that’s extracted from silk worms. [Nitesh Batra]: What regimen do you recommend? [Dr. Mohammed]: Along with medicines, we prescribe regimens that work on rectifying the mijaaz. We have around 50-60 regimens, in Unani medicine. For example, if we find that a person’s blood has increased, then, we use a process to extract that from the nerves. If the toxins in a person’s body have gone up due to which a person is suffering from a disease or his/her health is not getting restored, then to eliminate the toxins, we use purgation in such a case. Likewise, vomiting. For common cold, steam inhalation is a regimen or putting medicines into the nose is also a regimen. Putting medicines in the ear. In this manner, one of the typical regimens used in Unani is Hamam. [Nitesh Batra]: What is Hamam? [Dr. Mohammed]: Hamam is a building that has 3 rooms. Each room is maintained at a different moisture level and temperature. A patient is moved into the hamam. Depending on the condition of the patient, we keep him in the room for a certain duration. We are currently addressing obesity conditions in the Institute and studying the effects of heat on obesity. [Nitesh Batra]: You just mentioned obesity. World over, we are witnessing an increase in obesity and lifestyle diseases. What is Unani medicine doing to address these conditions? Or does Unani already have medicines that can be prescribed or recommend regimens for these diseases? If you can explain how Unani addresses lifestyle diseases like Blood Pressure, Diabetes, Obesity and Thyroid? [Dr. Mohammed]: Like I mentioned earlier, there are 6 essential factors in Unani medicine. All lifestyle disorders have a relationship with the disturbance in any of the 6 essential factors. E.g., the prime factor in obesity is diet. Without controlling diet, you cannot treat obesity. So Unani system described long ago when certain disorders can affect people and when they can occur. When you regularize diet, you cannot deny the effects of it –it will surely appear in the long term if not immediately. If a person indulges in feasts say 5-7 times, it may not affect him but if he regularly indulges in overeating over several months, it will surely impact his body. So, Unani system has very long ago, described how to regulate diet—what to eat or avoid, what food combinations to take. All these things are very well defined through observations. Take for example, obesity. When the effect of cold increases on the body, the person can be obese. It isn’t necessary, of course, as it depends on the susceptibility of the person’s body. If it is susceptible, then definitely, he will be obese. As is, with diet—if the person is taking a cold-tempered diet then definitely, yes. If he is taking hot-tempered diet, then, no. Likewise for thyroid. Thyroid is also a cold dominant disease. So, if a person with thyroid disorder takes hot tempered food, then up-to a certain extent, we can control both obesity & thyroid. Similarly, heart diseases are linked to mental calm & repose and diet. Both these are described in 6 essential factors. [Nitesh Batra]: So, if people need to address mental calmness through Unani, what can be done—exercises/medicines? [Dr. Mohammed]: For mental calm, there really isn’t any medicine. Barring administering sedatives (sleeping pills) but their uses are not justified for mental calm. So, the most effective way for a person to have mental calm is to engage in activities that reduce mental tension. However, it is easier said than done in today’s times. Because every person is chasing something or the other. So, if he reduces the chase, his mental tensions will reduce. Spiritual methods such as meditation are used these days and they are also popularly understood, to gain mental calm. So, if a person is even a little spiritual (meditation, yoga etc), he can get mental calm. [Nitesh Batra]: So, from what I gather, a combination of things will be helpful—some from Yoga, some from Ayurveda and some from Unani. You also mentioned that a lot of research is being conducted in Unani at this institute and in other places. Can you please explain a bit more on that? [Dr. Mohammed]: This institute has been set up exclusively for the purpose of conducting research. It offers only Post Graduate Studies—it doesn’t offer Under Graduate studies. The aim is to propagate Unani medicine, to conduct research in Unani, to have competent people in this field so that they can serve the society. We have 8 departments in the institute and each of the 8 departments is conducting research in its field. We have a Pharmacology department (Ilmul Advia) where we conduct drug related research. A department of medicine (Moalajat) exists for medical research on disease related research. Another called Social & Preventive medicine (PST) (Tahaffuzi wa Samaji Tib) where it aims to spread Unani medicine to as many people as it can. Other departments are Gynecology (Department of Ilmul Qabalat wa Amraze Niswan), Basic Principles Department (Kulliyaat), Pharmacy department related to making drugs more acceptable to the public, department of surgery (Ilmul Jarahat). Then we have Regimental Therapy department (Ilaj-Bit-Tadbeer) related to regimens prescribed by Unani—that covers which regimen affects which body type and which regimen impacts which disease and so on. But all our work is at an initial stage and it will take a while before we can tell the world where our research has reached and what we can offer to the public. [Nitesh Batra]: Is there a central body for Unani medicine under which all colleges of Unani in the country come under? [Dr. Mohammed]: The central body is under AYUSH—CCIM, CCRU—an organized research body that governs all streams such as Ayurveda, Yoga, Unani, Siddha, Homeopathy. But for academics, we have CCIM—Central Council of Internal Medicine. [Nitesh Batra]: What’s the duration of the Under Graduate course and PG course? [Dr. Mohammed]: Under graduate is a 5-year course after which is a 1-year Internship. PG is of a 3-year duration. [Nitesh Batra]: So, people can practice after UnderGrad & internship? [Dr. Mohammed]: Yes, one can practice was UG & internship. [Nitesh Batra]: Before we conclude, would you like to give any message to people if they wish to introduce Unani into their lives or how they get started with adopting Unani. [Dr. Mohammed]: My first advice/request to people is that whenever they are follow a system, they should consult a qualified person to derive benefits. Because, in today’s world, there are more practitioners and less of qualified people. So, while there are practitioners, they may not be well qualified. Thus, the benefits may or may not come out of consulting mere practitioners. So, my 1st request to people is to consult a qualified person and if a qualified person isn’t available, then approach the institute of that system to reap the benefits of that system. In the unfortunate incident of consulting a non-qualified person, then, instead of promoting the system, it gives it a bad name. We encounter this frequently in Unani. Because there are very few practitioners of Unani. Thus, it isn’t getting propagated rapidly. But I believe firmly that if people consult a qualified Unani practitioner, it will not only help people, but will also help in propagating it. I would especially urge people in Bangalore to visit our Institute and gain benefit from here. [Nitesh Batra]: Thank you very much, Dr. Mohammed for giving us your valuable time in explaining Unani to us that I am sure many people were not aware of! Thank you so much to our listeners who have tuned in to listen to this episode of The Mindful Initiate podcast. If you like our podcast, please remember to share it with friends and family. Please like us on Podcast or Google Play Store. Thank you so much. ← Is Yoga Asana Practice Only? Thank You so much for listening and your feedback. I agree the tips are very simple and can be implemented with anyone. These are hidden treasures from our history which should reach more and more people! Thank You Dr. Aelia for your suggestion. Based on your feedback, I have updated the title of the post. Thank You for listening and taking time to write a comment about the post! Thank You so much for your comment. I appreciate you liking our post. Thanks for sharing this valuable talk; video version would be more attractive. Listening the genious of Unani Medicine (Prof. Md Zulkifle) on this plateform is fascinating, wuld love to watch him again n again ! Discription of #Ruh & other basics of Unani was worth listening; plz do interview him on Concept & management of Diabetes through Unani Medicine. Thank You for your message. Hope to have more such talks in the future. Very good talk about unani system of medicine dr atique bahraich u. P.